In 2009, Greg Baroni co-founded Attain, a leading management, technology and strategy consulting firm. His earlier experience includes various leadership roles with Unisys Corp., including corporate senior vice president of the company and president of its Federal Systems and Global Public Sector unit, as well as similar leadership roles at KPMG. 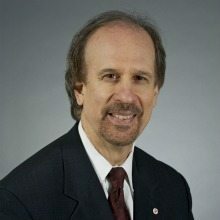 He is a board member and executive committee member of the Northern Virginia Technology Council and Professional Services Council,and board chair of The Women’s Center, among many other industry and philanthropic leadership roles.